In the early 1970s, Earl "Rusty" Butz, the US secretary of Agriculture, urged American farmers to plant crops "fencerow to fencerow." "Get big or get out," he told them. Farm subsidies followed and, as many small farms consolidated into fewer larger ones, the country transitioned into a new era of corporate-dominated agribusiness. With large-scale farming came the large-scale application of man-made fertilizers. 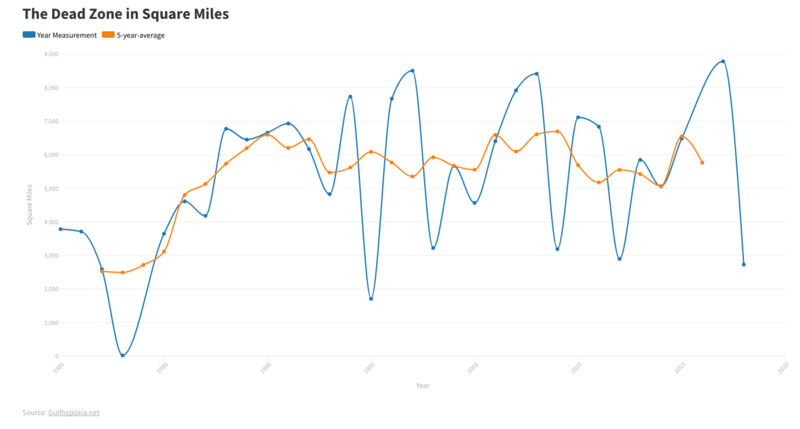 Around the same time, large algal blooms began appearing with increasing regularity in the shallow, coastal sea at the mouth of the Mississippi. The algae died and sank. As it decomposed, it sucked oxygen from the surrounding water. Areas along the ocean floor became oxygen-depleted, or hypoxic. Oxygen-dependent organisms that were able to, fled. Those that couldn’t, suffocated. The nation had a new problem, one that underscored how the ocean’s problems can begin 1,000 miles inland: Fertilizer applied throughout the huge Mississippi watershed was creating a "dead zone" in the northern Gulf of Mexico. It’s the second-largest such dead zone in the world, after the one in the Baltic Sea. "It’s the tragedy of the commons," says Nancy Rabalais, executive director of the Louisiana Universities Marine Consortium in Cocodrie, La. "Things that a farmer doesn’t know about he doesn’t care about." Since the widespread adoption of man-made fertilizers in the 1950s – the innovation behind the "green revolution" – fertilizer and pollution runoff has caused hypoxia to increase in many shallow waters. By one estimate, the number of dead zones worldwide has doubled every 10 years since the 1960s, to 170. The US has about 50 hypoxic areas affecting half its estuaries. As developing countries continue to adopt industrial-scale farming methods, many foresee the problem spreading. 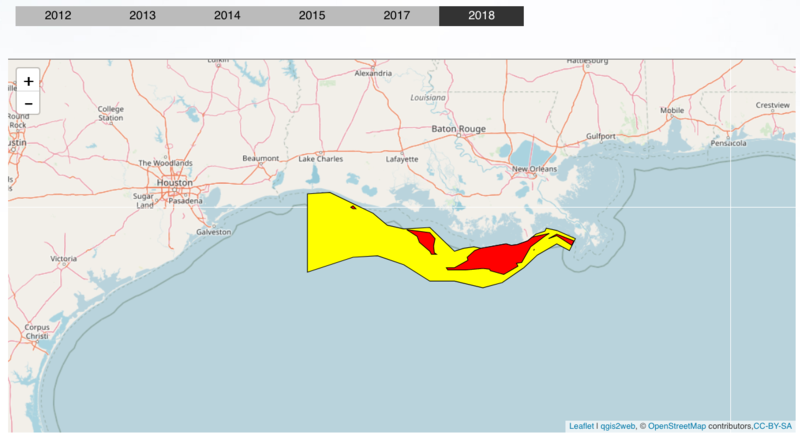 The Gulf dead zone has grown steadily, doubling in average size between 1980 and 2000. Scientists expect it to get bigger. 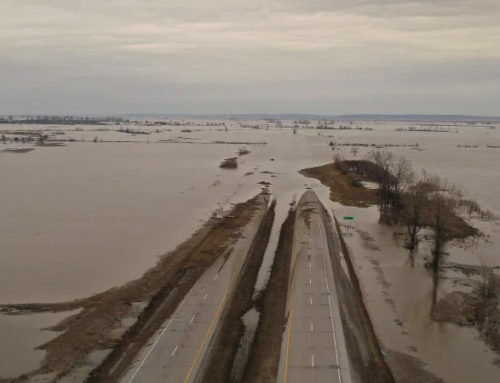 More fertilizer than ever is washing down the Mississippi due to the ethanol boom and heavy rains. This year scientists predict a Massachusetts-sized dead zone, nearly 20 percent larger than the previous record of 2002. Chronic hypoxia has completely altered places like Chesapeake Bay and the Black Sea. 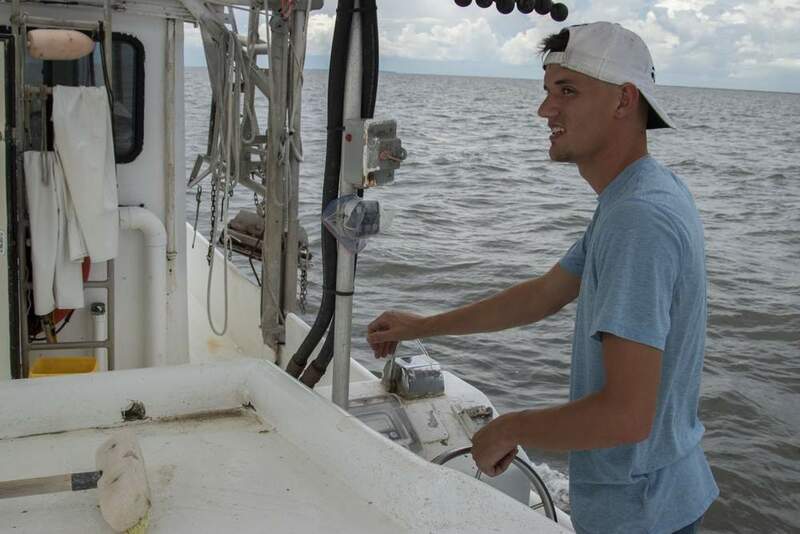 No one knows how the Gulf’s hypoxic zone might affect the area’s lucrative fisheries. 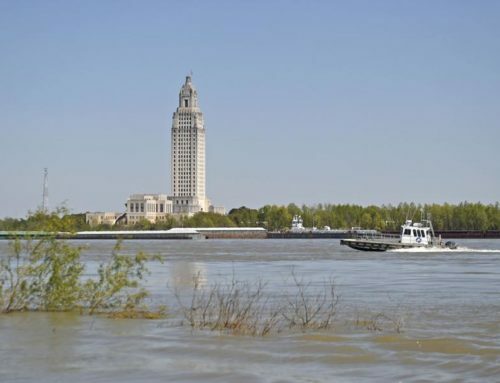 "We’re … playing roulette with the Gulf fisheries," says Doug Daigle, coordinator of the Lower Mississippi River Sub Basin Committee on Hypoxia in Baton Rouge, La. "The big fear is that we’ll have a crash…. Once that happens, it’s very hard to try to go back and fix it." The problem, which embraces the 1.2 million-square-mile Mississippi watershed, spread across 31 states, is daunting. But a recent US Geological Survey report indicated that the fertilizer sources are relatively concentrated. Nine states contribute 75 percent of the nutrient runoff that ends up in the Gulf. Each year, $391 million worth of fertilizer washes down the Mississippi, according to the nonprofit Environmental Working Group (EWG) in Washington. Mitigation measures are relatively low-tech. Planting a buffer of certain crops – switch grass, for example – around farmland can cut nutrient-rich runoff. Wetland systems absorb nutrients in the water, which places a premium on wetland restoration. Changing when and how farmers fertilize also lessens runoff. When polled, farmers say they would prefer the more diverse landscape implied by buffers and restored wetlands. Indeed, various programs exist at both state and federal levels to pay farmers to let land go fallow, or even restore it. But currently the incentives to plant crops – including direct subsidies and high food prices – are much greater than those for conservation. In the top polluting counties, EWG puts the ratio at 500 to 1. "They’re being paid to grow more and more corn rather than to implement these conservation measures," says Donald Scavia, professor of natural resources and environment at the University of Michigan, Ann Arbor. "You’re concerned about fish in the ocean, and it’s being driven by US farm and energy policy." The only way to address the problem, say experts, is through a coordinated effort led by a central authority. Eight years later, some are calling it the "no-action plan." Individual states have moved to address their water quality issues locally, but the coordinated effort called for in the action plan has yet to emerge. Lack of money is the biggest obstacle, a fact noted in the in the 2008 Action Plan signed earlier this month. 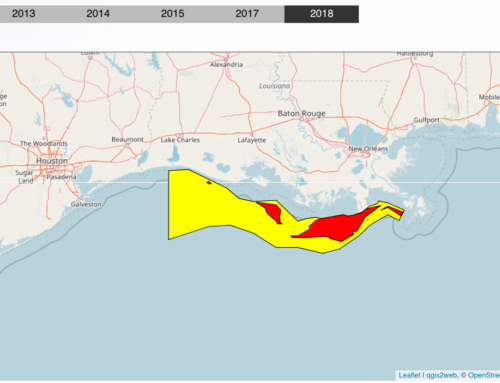 "The goal was to achieve something like $2 billion per year to fight hypoxia," says Len Bahr, director of applied science in the Louisiana governor’s Office of Coastal Activities in Baton Rouge, and a signatory on the 2008 plan. "None of that money has ever materialized." "We don’t really have the legal authority in place for anyone to fix this," says Catherine Kling, a professor of economics at Iowa State University, Ames. "And if you don’t have that, you have to rely on voluntary" measures. Ethanol production is likely to enlarge the dead zone. A March study in the Proceedings of the National Academy of Sciences found that if the US meets its stated goal of 15 billion to 36 billion gallons of corn-based ethanol by 2022, nutrient flow into the northern Gulf will increase by 10 to 34 percent. Without drastic changes in agricultural practices, the paper concludes, the Action Plan’s goals are "practically impossible." Already, last year farmers devoted a nearly California-sized tract of land to corn cultivation, a 15 percent increase over the previous year, and a 60-year high. Last year, the dead zone reached the third-largest extent ever observed. 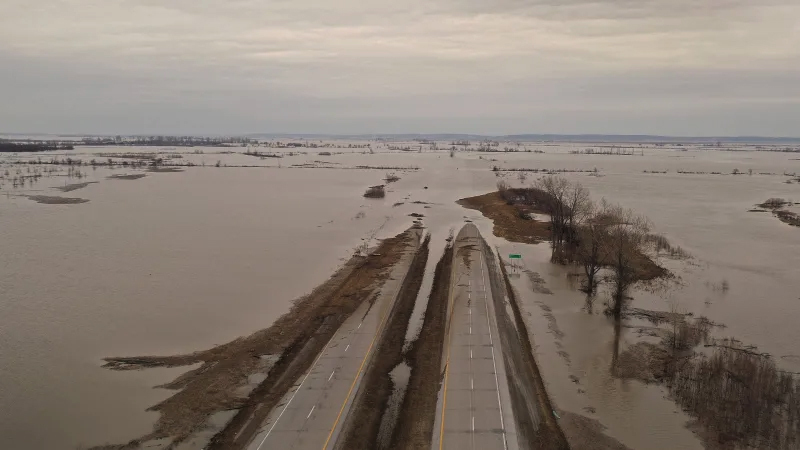 Heavy rainfall throughout the Midwest this year has increased the Mississippi’s discharge by 75 percent. While the river’s fertilizer concentration is lower than last year’s because of high water volume, it will dump 37 percent more nutrients into the Gulf. Loss of crops to floods may urge farmers to plant a second crop, sending more fertilizer downstream. A study published earlier this year speculates that, after 30 years of excess nutrients, the Gulf ecosystem may be near a tipping point. The northern Gulf’s sediments have become so saturated, the authors say, that the ecosystem is showing less resilience. Compared with 30 years ago, it takes a smaller nutrient load to cause the same size dead zone. Some fishermen are worried, too. "It has the potential to affect fisheries," says Ms. Rabalais. Fish can flee when an area turns hypoxic. But often the bottom-dwelling bivalves and worms that form an integral part of the ecosystem can’t. "It reduces biodiversity," she says. And with each reduction, returning fish find the ecosystem less able to sustain them. 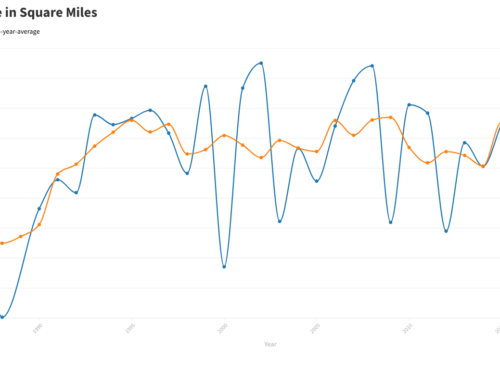 Others think the dead zone’s potential impact on fisheries is being oversold. 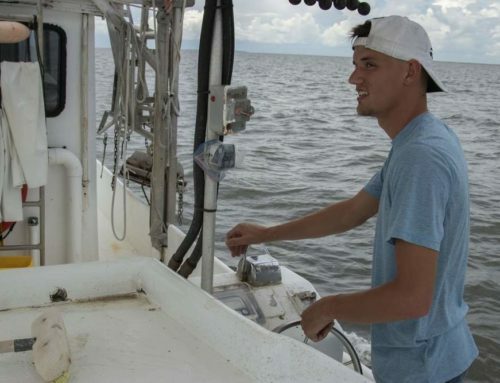 How oxygen-depleted waters affect an ecosystem depends on the ecosystem itself, says James Cowan, a fisheries oceanographer at Louisiana State University, Baton Rouge. In Chesapeake Bay, for example, originally dominated by bottom-dwelling organisms like oysters, increased nutrient influx has restructured the food web. Low-oxygen waters can occupy up to 40 percent of the Chesapeake in summer, suffocating crabs, fish, and worms. Centuries of harvesting oysters, which once filtered excess nutrients from the water and so defended the bay against hypoxia, may have sent the ecosystem past a tipping point. Few oysters remain. But at the mouth of the Mississippi, the ecosystem is already adapted to a harsh environment that includes large pulses of sediment and fresh water. Midwater organisms accustomed to these conditions dominate the ecosystem. The greater threat here, Dr. Cowan says, is loss of coastal wetlands that serve as fish nurseries. "For my money, that’s the bigger concern," he says.